I recently bought a reproduction of a 1933 Ordnance Survey map of Daisy Nook and Limehurst. 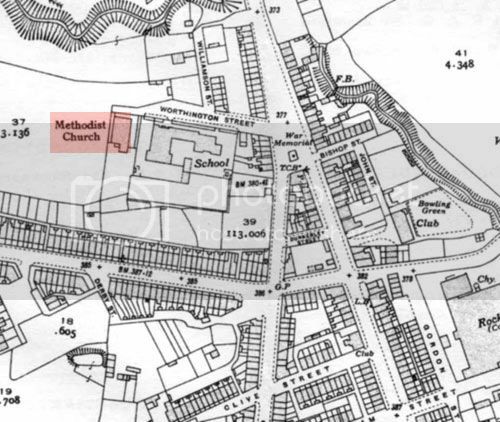 I was surprised to see that there used to be a Methodist Church at the end of Worthington Street next to Waterloo Council School (later Waterloo County Primary School). It had been demolished by the time I started at the school in the mid-1940s but I always thought the ground where it must have stood looked different from the rest of the school field. There are 2 photos on Tameside Image Archive of a Waterloo Methodist Church but I don't think they relate to this church. Does anyone know when it was demolished and if there are any photos of it? See map below. Thanks Fudge - I've done searches on this and the previous forum but nothing came up under 'methodist church'. I guess I'll never know. Waterloo Worthington Street United Methodist Chapel, Ashton-under-Lyne, has church records between 1924 and 1943. 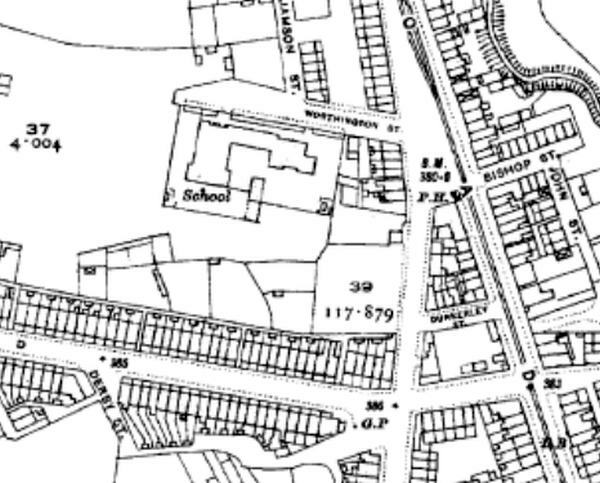 It does appear on the 1954 map but may have been out of use at that time. The site has been cleared by the time of the 1962 map. Thanks Martin - there are a couple of brief references to it on other sites but it certainly was not there in 1946. There are probably no photos of it though the Ashton Reporter could have something. One wonders why it was built and when and why it closed after such a brief period. Curious. I see the Genuki family history site is also looking for a photograph of the church. Fudge, thank you so much for your research - that is really interesting information and quite a strange story. It's remarkable that it lasted 20 years. I wonder how they heated it in winter if it was made only of wood and corrugated iron. If it had survived a few more years it is possible I might have seen it but I was born too late! Thank you again.